Last summer, by the time the farm purchase closed and we moved in, it was too late to start a garden for the summer. However, the prior owners had planted a full garden with a variety of plants. With limited work needed on our part (just some occasional watering), we were able to harvest a large number of tomatoes, radishes, rattlesnake beans, kale, lettuce, green peppers, dill and much more. 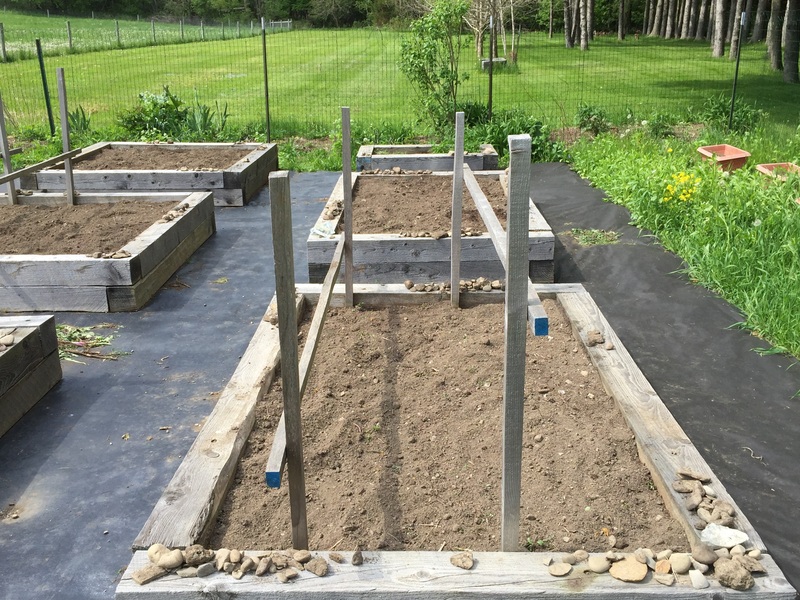 This year, we had a lot more work to do – we had to prepare and plant our own garden! It took many hours to turn the soil and get it ready for planting. The garden before planting (2016). Although last winter was generally warm, it stayed colder than normal late into the spring with frost still occurring regularly up through the beginning of May. We decided to go with planting from seeds this year instead of started plants. Due to the late frosts, we couldn’t plant the seeds until late May. 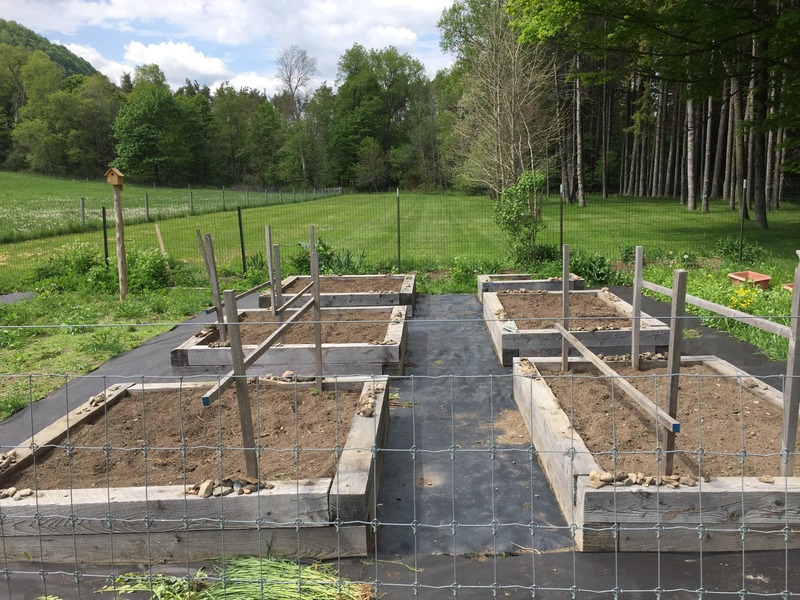 Our garden shortly after planting in late May 2016. Note that it looks very similar to the before planting picture because we planted seeds. For anyone who has open man-made water sources on their property, wildlife escape ramps are very important. What is a wildlife escape ramp? Wildlife escape ramps are ramps or other structures that allow wildlife that fall into the water to escape from water troughs or buckets that otherwise have side that are too steep for animals to climb out on their own. Completed Wildlife Escape Ramp in the bucket. For water sources with shallow sloping sides (such as most bird baths), wildlife escape ramps are not necessary as animals can climb out over the edge as the water is shallow near the edge. However, for water sources with steep sides (such as most livestock water troughs), wildlife escape ramps are needed to help any animals that fall in and are unable to climb out because of the steep sides. A couple of weeks ago, a juvenile bird drowned in one of our water troughs and a toad was unable to climb out of one of the other water buckets (we got the toad out in time). 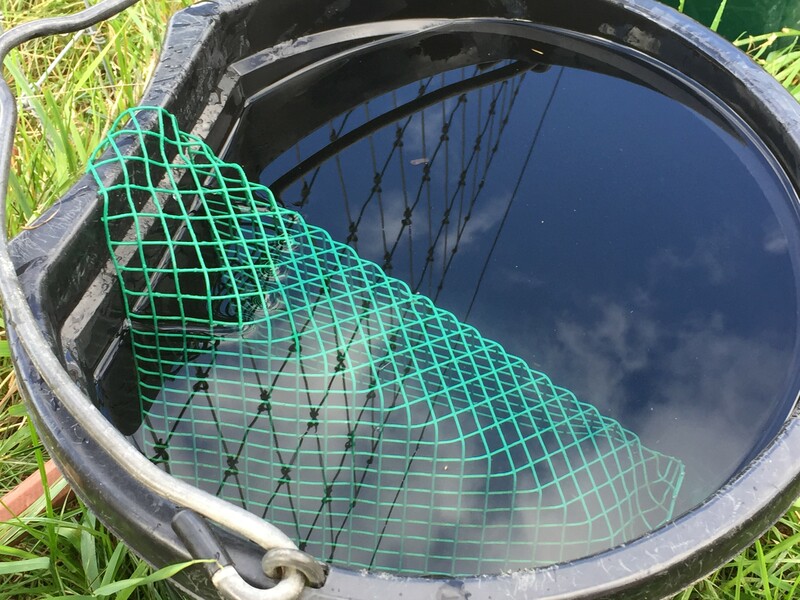 In addition to causing the deaths of animals that fall in, dead animals in the water troughs can spread disease to the livestock, and even when discovered within a day, requires the water trough to be emptied, cleaned and then refilled. We researched solutions and the most useful solution was to build wildlife escape ramps.